Yesterday I have made a decision that could really help me to further my career. At least that's what I hope. 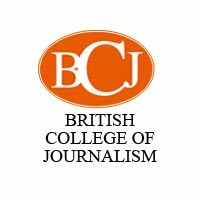 I have just signed up to do a Diploma in Freelance Journalism at the British College of Journalism, Oxford. It's a short course by distance learning, aimed at those who want to make a career as freelance writers. Now, being a full-time freelance is not my ultimate career-goal, but I hope to gain useful contacts from this course, and get published in a wider number of publications. The decision wasn't easy, though. I wanted to get my NCTJ qualification. However, the NCTJ itself only offers a complete Diploma in Journalism, in which I'd have to start from scratch and would basically have wasted the last three years doing my B.A. (Hons) degree. And there was no way to just do the modules I needed. Besides, I don't really agree with having to do extra studies and spend money for something I should have been provided with while I was studying towards my B.A. at the University of Central Lancashire. The course is quite expensive, and I already have all the books. So what I'm going to do instead is study for the NCTJ's by myself - luckily my boyfriend has done all the modules, and can help me when I get stuck - and apply to sit the exams when I'm ready. But until then, I'm doing the British College of Journalism course, which will give me a tutor from the field of travel journalism (FINALLY! ), help me pitch to everything from local weekly papers to national magazines, and provide me with useful contacts, all aimed at getting published and paid for it! I'll have my articles published on the International News Syndicate website, get the INS media pass and they guarantee that I'll have my course fees back within my first three paid assignments or they'll refund the difference! Distance learning will be tough, no doubt, especially as I have to fit a full-time job, creating Shoestring and study sessions for the NCTJs into my week as well. But the British College of Journalism is based in Oxford, so I'll have this reputable city on my CV. It's not the University of Oxford - I could not afford to do a proper Master degree from Oxbridge or any university for that matter, although I'd really quite like to - but it's based in the same city, and, as we've learned, perception is a powerful thing.